Nina Garcia has been at the helm of American ELLE since January and she’s been hard at work elevating the magazine in terms of design and relevancy. She’s managed to secure an endless list of A-list cover girls ranging from Kim Kardashian to Selena Gomez. 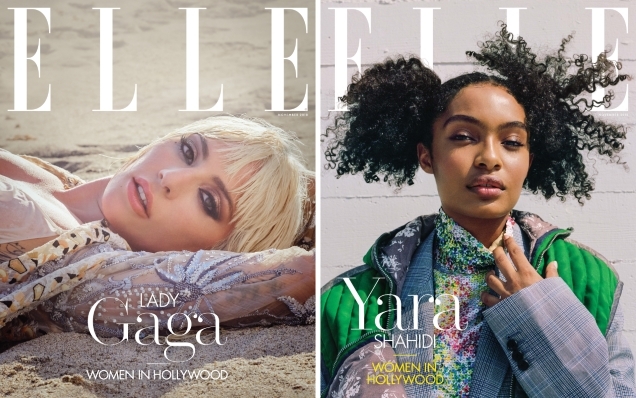 This month, Garcia’s first ‘Women in Hollywood‘ issue is here, as she continues ELLE’s long-standing tradition for 2018. For the November issue, Lady Gaga, Yara Shahidi, Danai Gurira, Lupita Nyong’o, Angela Bassett, Sarah Paulson, Shonda Rhimes, Charlize Theron, Keira Knightley and Mia Farrow feature on a total of eight collectable covers. Our forum members were quick to weigh in on which celebs received the best cover treatment. “Charlize Theron’s cover is so elegant it gave me shivers. It’s the perfect shot, breast included,” said dodencebt upon checking out the series of covers. “Charlize’s cover is the strongest amongst all of them!” PierreGotha chimed in. “Every single cover is very decent, but I think they nailed Charlize Theron’s and Lady Gaga’s. I was always fond of Zoey Grossman’s work and I think her work with Charlize is possibly one of her best,” added forum member SLFC. “Hate admitting to this, but Lady Gaga’s cover is the best of the lot for me!” Benn98 confessed. 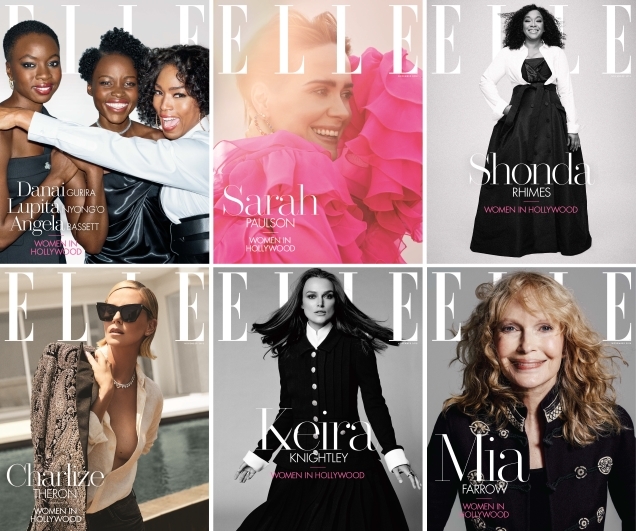 “Okay, ELLE can be hit or miss for me but EVERY single one of these covers is fantastic! Yara Shahidi, Gaga, Charlize… maybe those three are my faves, but honestly like them all,” Joromana applauded. Which cover do you prefer? Check out more from the issue and share your thoughts here.